When this client reached Eagle Scout there was quite a cause for celebration. 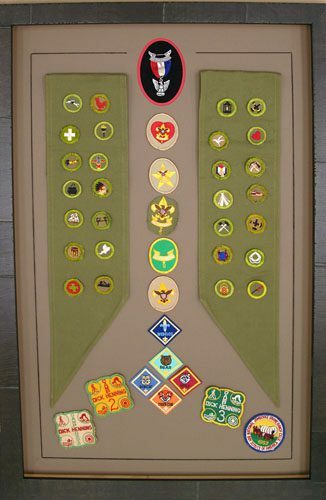 What better way than to frame the merit badges he worked so hard to earn over the years? 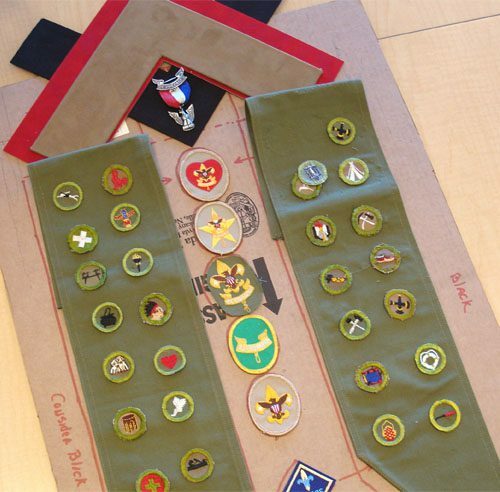 We arranged the badges and sashes in both logically and aesthetically pleasing ways and with economies of space and cost in mind. A V-groove was cut into a black-core mat offering a visually binding element. We then sew-mounted the components. The client selected a textured, dark wood frame. We attached the conservation-grade glass so that it would not come into contact with the badges. This Eagle Scout now has a conserved display of his accomplishments.